William A. 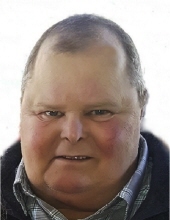 “Sput” Lewis, 60, of Vanceburg, passed away Thursday evening, September 6, 2018, at his home surrounded by his loving family. He was born February 17, 1958, in Lewis County, a son of the late Tim and Carmie Jean Bentley Lewis. Sput was of the Christian faith and enjoyed going to races, ATV dirt riding and spending time with his family and friends, especially his grandchildren. In addition to his parents, he was preceded in death by one son, Brent Allen Lewis; one sister, Valerie Scott; and one brother-in-law, Tom Horsley. Sput is survived by his wife, of 40 years, Brenda Blevins Lewis; one daughter, Rebecca Carver (Brady) of Vanceburg; two grandchildren, Brady Carver and Kayla Cropper; three great grandchildren, Lane Cropper, Hallie Jo Cropper and Ramsey Cropper; one brother, John Lewis (Eva) Middletown, Ohio; and two sisters, Tammy Stafford (Jack) of Camp Dix and Marsha Horsley of Tar Fork. He also leaves many other family members and friends who will sadly miss him. Funeral services will be held at 11 a.m. Tuesday, September 11, 2018 at Dickerson Funeral Home in Vanceburg with Brother John Lewis officiating. Burial will follow in the Lewis County Memory Garden in Vanceburg. Friends may visit from 6 p.m. to 8 p.m. Monday, September 10, 2018 and after 9 a.m. on Tuesday at Dickerson Funeral Home, 110 West Second Street, Vanceburg 41179. Joe Toller, Todd Hampton, Tucker Horsley, Jackie Stafford, Josh Stafford, Ben Horsley and Timmy Horsley will serve as pallbearers.